The B2T has evolved for 2018. While Unlimited short course offroad racing has continued to devolve for 2018. Fortunately the rules don't ban you from having it in your truck, and Rob MacCachren used it for the entire season; he just couldn't shift it. However Patrick Clark chose not to race with it, for fear of persecution, and only used it in practice and qualifying. Regardless, short course isn't the only application the B2T can be used in. The B2T can be used in desert racing, bonneville, anywhere you would like two speed ranges. It can be adapted to automatics, manuals, and directly to engines. So we have taken the B2T to it's next logical level, by changing the basic external shape while retaining all of the same exact mechanic workings of the prototype. First major change was the re-positioning of the oil sump from below the Underdrive to the left. The B2T is 6" from the Yoke center down to the bottom of the case. 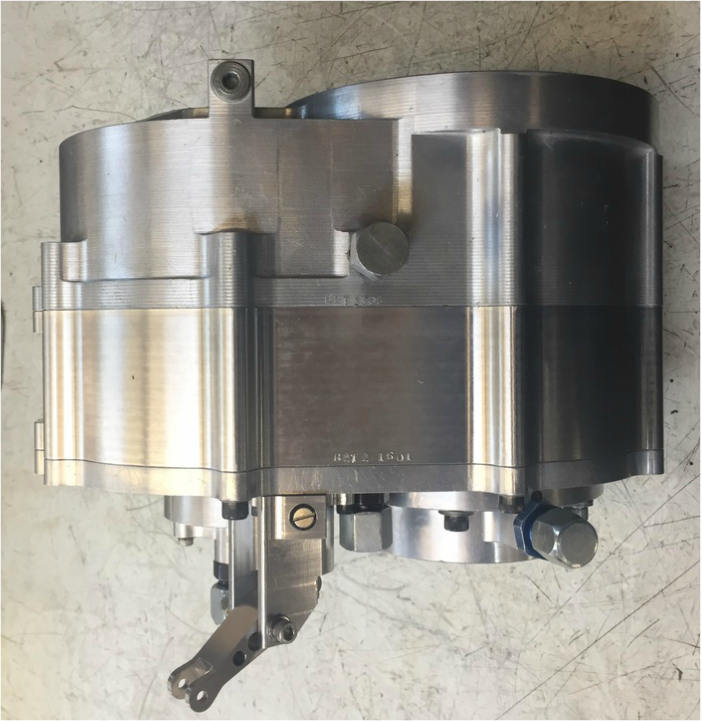 When the B2T was originally designed to fit in the trucks built by the late, great Kevin Pence, the engine and transmission was positioned higher in the Pro 2 race truck and we had room to make a nice sump. The B2T2 is now 3 5/8" (3.625") from the Yoke to the bottom - a full 2 3/8" removed. We retained the same pump cover too. This gives the vehicle builder greater latitude as to how to position the engine - transmission - underdrive best for their particular application while allowing for lower CG if so desired. The whole underdrive can be rotated up or down about the yoke center if needed. Next major design change was the addition of mounting ears on the main case. In addition to the adapter plate, these ears can be used to mount the B2T2 to the chassis, or they can be used to mount accessories. The ears are on the main case so you can still make gear changes without removing the unit. The bolt pattern to the adapter plate has changed and has now one extra bolt hole location and they are all inserted. In addition to the 6 bolt holes, there is now two 1/2" dia dowel locations to take the rotational torque stress out of the bolts. The adapter pilot has an external o ring. 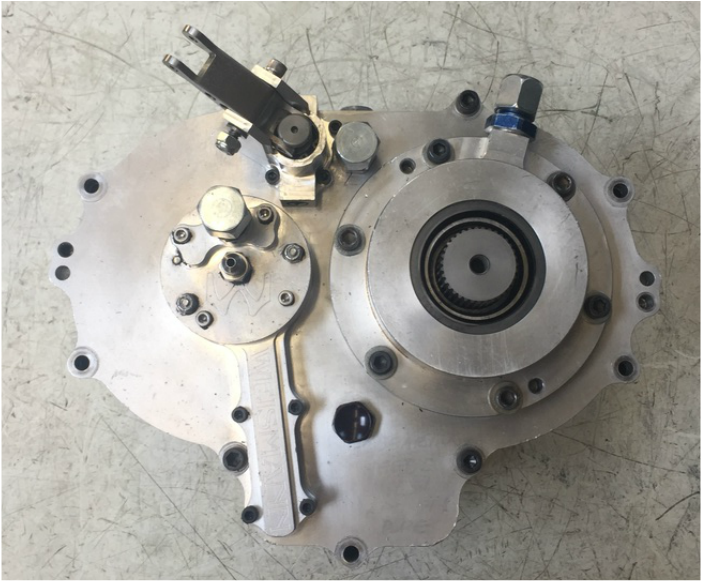 The main case has two additional internal oilers fed by the original oil system to help increase oil supply to the input bearings for long distance racing like the Baja 1000. 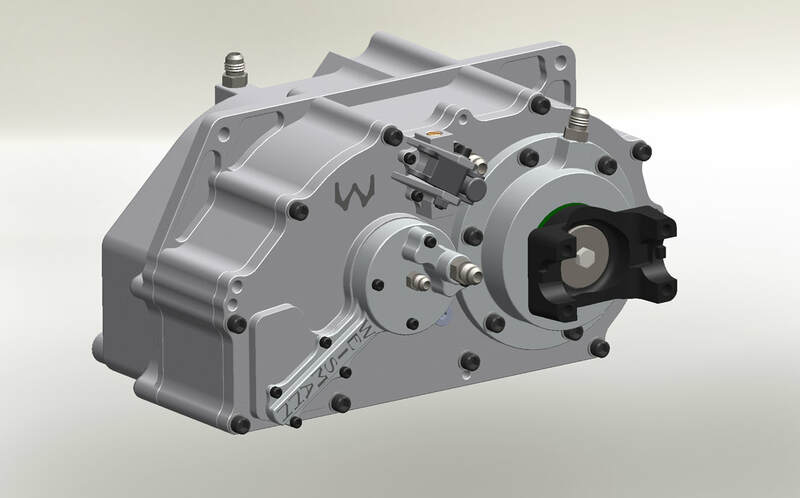 We have taken our standard championship winning B2T 2WD Transfer Case and made it into a 2 Speed with a simple conversion to the existing unit. By adding a 2 3/4" spacer between the main case and the cover, we can convert the B2T into a B2T2. It is reversible, in other words, you can always go back to the B2T. Rob MacCachren and his crew chief Jim Blackmore were the first to commission a B2T2. Competing in the LOORS Unlimited Pro-2 14 race Championship, Rob won 7 races and finished second 3 times. Rob won the Pro-2 LOORS Championship with a couple races to go with zero failures with our prototype. As a reward for our hard work, LOORS has now BANNED the B2T2 for 2017 and beyond. ​At any given track, the racer must first test to find out the best overall ratio for the track. So you can pick two different Overall Gear ratios and go out on the track to find out which one works best. The quick change option allows the racer to quickly change ratios and dial in the truck. 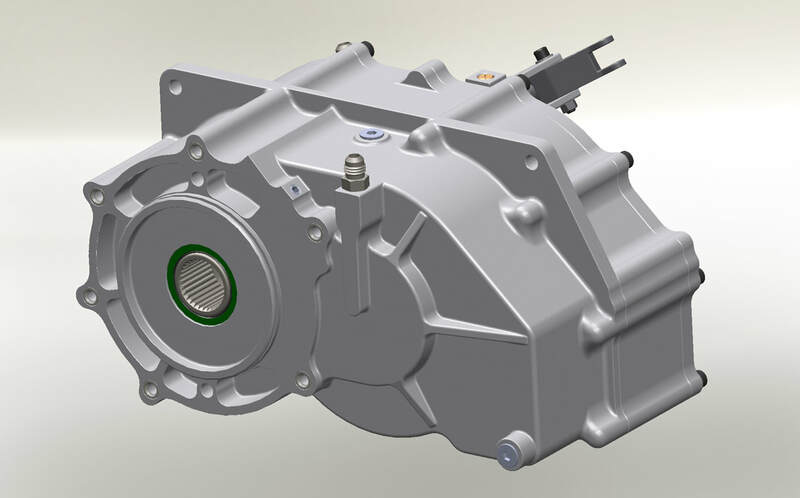 Not to be confused with the planetary overdrives, the B2T is a spur gear underdrive that can be geared as an overdrive.